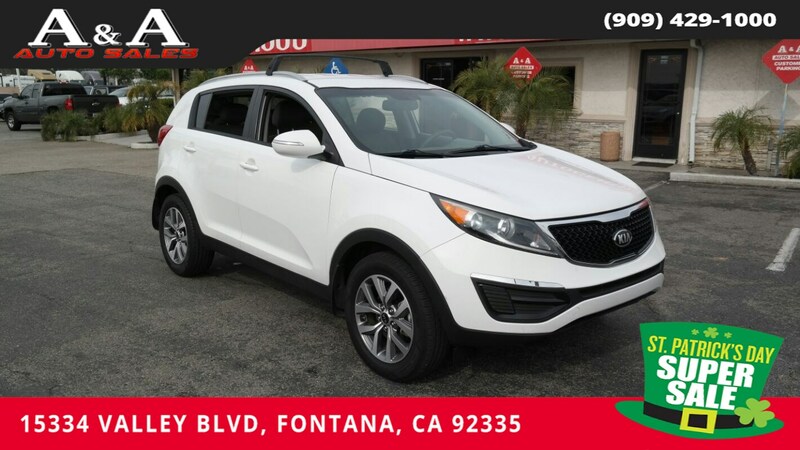 Enjoy the ultimate right-sized crossover in our 2014 Kia Sportage LX displayed in Clear White. Powered by a 2.4 Liter 4 Cylinder offering 182hp while connected a seamless shifting 6 Speed Automatic transmission which helps with easy passing maneuvers. This sporty Front Wheel Drive offers you nearly 28mpg on the highway. The exterior looks stylish with 17-Inch alloy wheels, projection headlights w/front LED accent lighting and KIA's signature chrome grille. Take a look inside our Sportage LX and you'll find it to be well-built with amenities that will simply spoil you. Play your tunes with the AM/FM/CD/SiriusXM audio system, sync your smartphone with the Bluetooth wireless technology and set the cruise control and get on your way. This Kia will keep you and your family safe. Six airbags, front active headrests, 4-wheel anti-lock brakes, electronic stability control, and a tire-pressure monitoring system are just a few of these advanced features. These features helped to make the Sportage an IIHS Top Safety Pick so you need not to worry; you and your passengers are covered. You are one of a kind and the Sportage confirms that! Print this page and call us Now... We Know You Will Enjoy Your Test Drive Towards Ownership!